The subject of this treatise is, in the highest degree, important and interesting to both saints and to sinners. To know it experimentally is to be wise unto salvation, and to live habitually under the influence of it is to be at once holy and happy. To have spiritual and distinct views of it is the way to be kept from verging towards self-righteousness on the one hand and licentiousness on the other; it is to be enabled to assert the absolute freeness of sovereign grace, and, at the same time, the sacred interests of true holiness. Without an experimental knowledge of and an unfeigned faith in the law and the gospel, a man can neither venerate the authority of the one nor esteem the grace of the other. The law and the gospel are the principal parts of divine revelation; or rather they are the centre, sum, and substance of all the other parts of it. Every passage of sacred Scripture is either law or gospel, or is capable of being referred either to the one or to the other. Even the histories of the Old and New Testaments, as far as the agency of man is introduced, are but narratives of facts done in conformity or in opposition to the moral law, and done in the belief or disbelief of the gospel. The ordinances of the ceremonial law, given to the ancient Israelites, were, for the most part, grafted on the second and fourth commandments of the moral law; and in their typical reference they were an obscure revelation of the gospel. The precepts of the judicial law are all reducible to commandments of the moral law, and especially to those of the second table. All threatenings, whether in the Old or New Testament, are threatenings either of the law or the gospel; and every promise is a promise either of the one or the other. Every prophecy of Scripture is a declaration of things obscure or future, connected either with the law or the gospel, or with both. And there is not in the Sacred Volume one admonition, reproof, or exhortation but what refers either to the law or the gospel or both. If then a man cannot distinguish aright between the law and the gospel, he cannot rightly understand so much as a single article of divine truth. 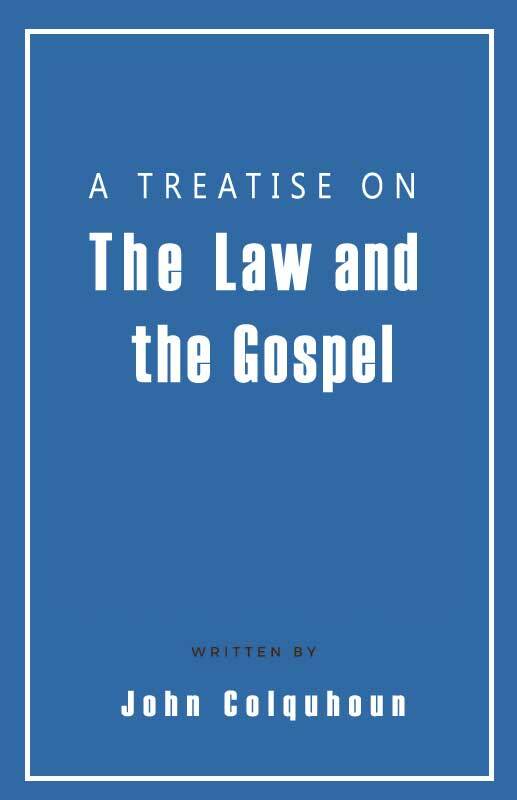 If he does not have spiritual and just apprehensions of the holy law, he cannot have spiritual and transforming discoveries of the glorious gospel; and, on the other hand, if his view of the gospel is erroneous, his notions of the law cannot be right. Second, the law of God as promulgated to the Israelites from Mount Sinai. Eleventh, I shall consider the great obligations under which every believer lies to perform even perfect obedience to the law as a rule of life. Twelfth, and last, the nature, necessity, and reward of good works. The great design of our Apostle, then, was to draw them off from their false views of the law; to direct them to right conceptions of it in its covenant form in which it can admit of no personal obedience as a condition of life, but such as is perfect — and so to destroy their legal hope as well as to confute their wrong notions. By the reasonings of the apostle upon this subject, it is manifest that every evangelical, as well as every legal, work of ours is excluded from forming even the smallest part of a man’s righteousness for justification in the sight of God. It is evident that even faith itself as a man’s act or work, and so comprised in the works of the law, is thereby excluded from being any part of his justifying righteousness (see the Westminster Confession of Faith XI:I).